High power, high "cool factor," high performance! Kriss didn't create the Vector platform to simply LOOK advanced. Inside the admittedly-cool exterior lies one of the finest firearm innovations we've seen in some time: the Super V Recoil Mitigation System. This unique operating system redirects energy down and away from the shooter, virtually eliminating felt recoil and muzzle climb. The low bore axis takes it a step further, ensuring that the recoil travels back, not up. The Gen II SDP: the Vector Self Defense Pistol. The Vector SDP is the Non-NFA semi-automatic pistol variant of the Vector platform. It features a short, threaded, 5.5” barrel. A rear quick detach sling point assists with carrying the firearm. Additional standard equipment on the KRISS Vector SDP are the Magpul MBUS sights, full length picatinny top rail and a Glock Magazine. Although this SDP maybe small, it still has the same capabilities as its larger counterpart, and is civilian legal in most states. Additionally, the SDP features all the Gen II enhancements of its larger counterparts, like a chrome-lined barrel, beefed-up barrel contour, improved fire control group, and a re-positioned fire/safe switch, among others. 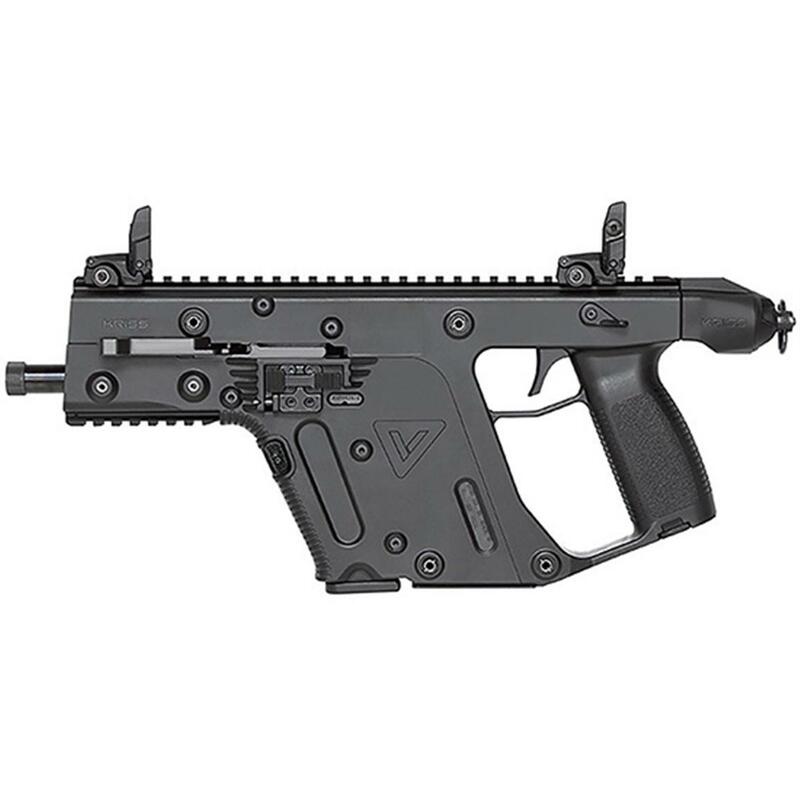 Kriss Vector Gen II SDP Pistol, Semi-Automatic, 45 ACP, 5.5 Barrel, 13+1 Rounds is rated 5.0 out of 5 by 1. Rated 5 out of 5 by Keizeror from Great unique gun - quality- easy to shoot. Love it! This is one of those guns that you either like the design and style or not. The build is of high quality. Over the past few months I have run about 500-600 rounds thru the gun. No issues or problems. I love the mechanics and style. Very little kickback or pull-up. Easy to use and came quickly. Overall love the gun.